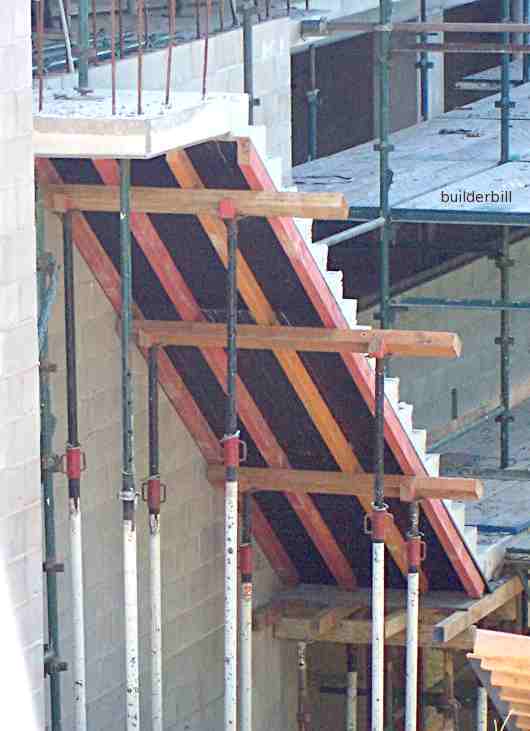 The formwork for stairs is usually ply on timber, apart from jobs that have many repetitions or curves, in which case purpose made steel forms are used. 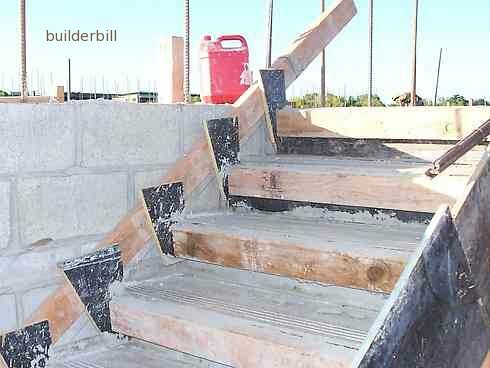 Above is a set of concrete stairs that has been poured, and the risers and side forms removed. This gives an indication of the layout for forming the soffit of the stairs. Another flight of stairs with the riser forms still in place. They should not be stripped too quickly if the stair is being used, as the form protects the step edges until the concrete has gained it's design strength.